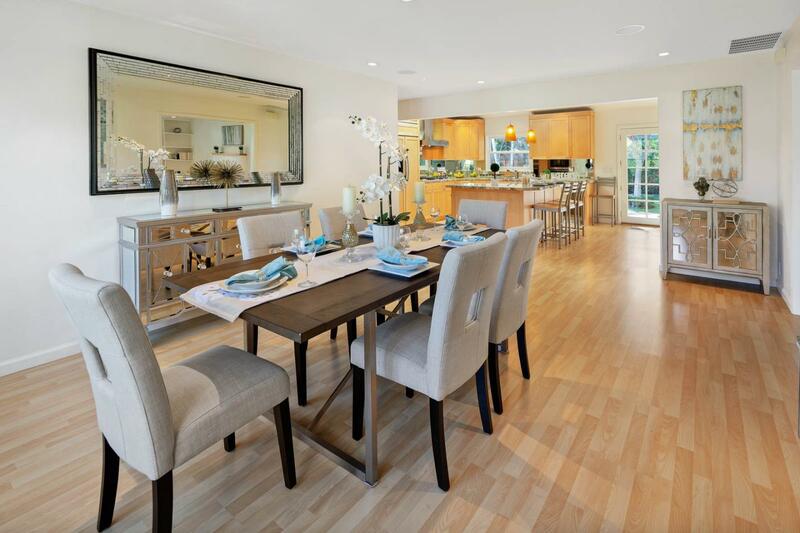 Exceptional home in the sought-after Los Gatos neighborhood. Quiet tree-lined street. Contemporary Kitchen with premium brand Miele appliances. Sunny family rm has built-in TV surround-sound and environmentally friendly EcoSmartÂ© fireplace which operate on bioethanol fuel. Bright and airy Master Bedroom that opens to an outdoor spa/hot tub. Updated Master Bathroom features radiant heat floor, rain shower system, custom-built towel warmer, double sink vanity, and generous walk-in closet. Two private master suites. Current record shows 3 bedroom only. 4th rm has a built-in loft &could be used as kids br. Tankless water heater. ADT security system. Outdoor gas burning BBQ has a built-in refrigerator. Generous deck and patio area in the backyard. Two outdoor storage sheds ideal for all your storage needs. Bocce ball court and outdoor spa great for entertainment. Double pane window, recess light, and hardwood floor throughout the house. Near downtown Los Gatos and 880 and 85. Must see!